I know you’ve all been impatiently awaiting a follow-up post regarding the future of the Dumb & Dumber sequel, so take a moment and finally breathe a sly of cautious relief because it seems things are moving forward faster than ever for this potentially disastrous effort. “I can tell you that there is no growth out of either one of them and it’s 20 years later… these guys are in regular life and they’re still basically children at heart,” he said. “The story revolves around the fact that one of them may have sired a child. They want to go and find the child because he’s having a kidney problem and he wants to ask him for one of his kidneys. 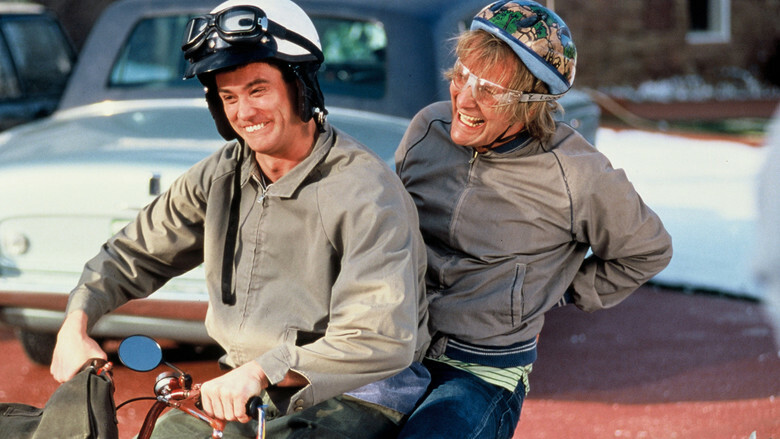 The original Dumb & Dumber served as one of Jim Carrey’s major launching points. A sequel, Dumb & Dumberer: When Harry Met Lloyd, was released in 2003, but neither the stars nor creative minds of the original were involved. Stay tuned for further updates as this comedy project continues to move forward.